Start your engines: the race is on! 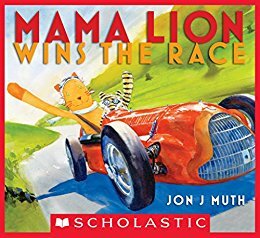 And Mama Lion and Tigey are off -- with their cool goggles and snazzy sports car! Racing teams gather from far and wide for this madcap race. But who will win the trophy cup? Will it be the playful Flying Pandinis? The mischievous Knitted Monkey Crew? 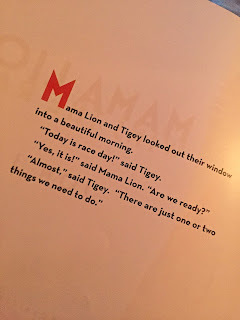 Or will Mama Lion and Tigey speed past the finish line in first place? 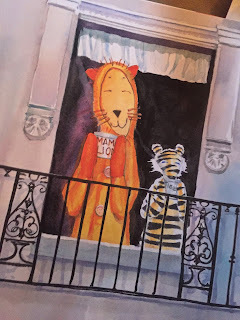 As Tigey says, "winning is winning," but sometimes the journey itself -- filled with ineffable moments of mystery, beauty, and joy -- is even more fun than getting the prize. 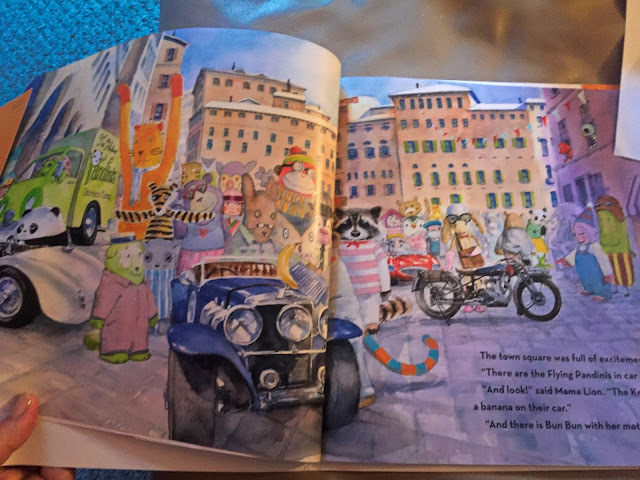 With cars inspired by the early days of Italian motor-racing and characters based on his children's beloved toy animals, Jon J Muth has created a uniquely spellbinding book young readers will return to again and again. 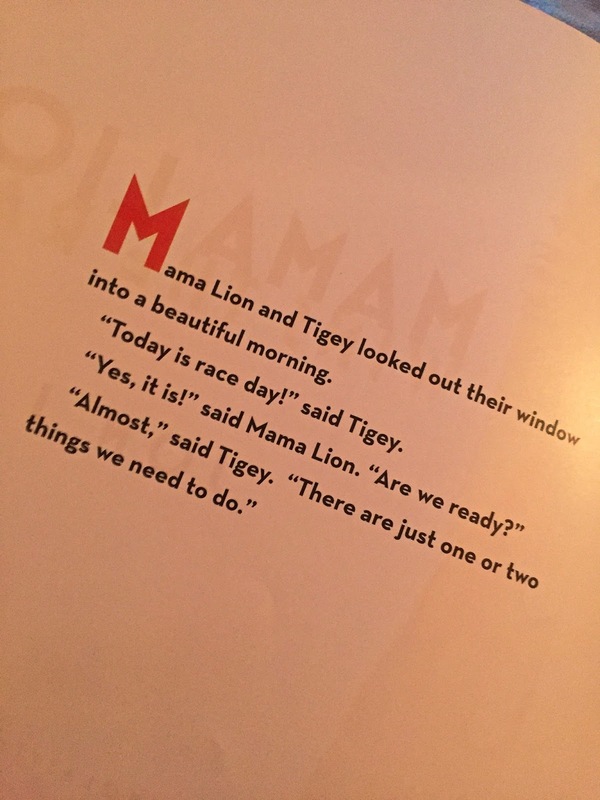 Such a sweet story about Mama Lion and Tigey who are excited about a race. They of course want to win like most of the participants but when they try to avoid a butterfly they end up with a tire issue. Some well meaning Pandinis stop to help and this sets the stage for the ending. I love the message that helping others makes you a winner too! No matter what, always be a good person, put others first and you will be rewarded. What you put into the universe comes back to you. Be good and you will receive good. Be mean and bad things will find you.